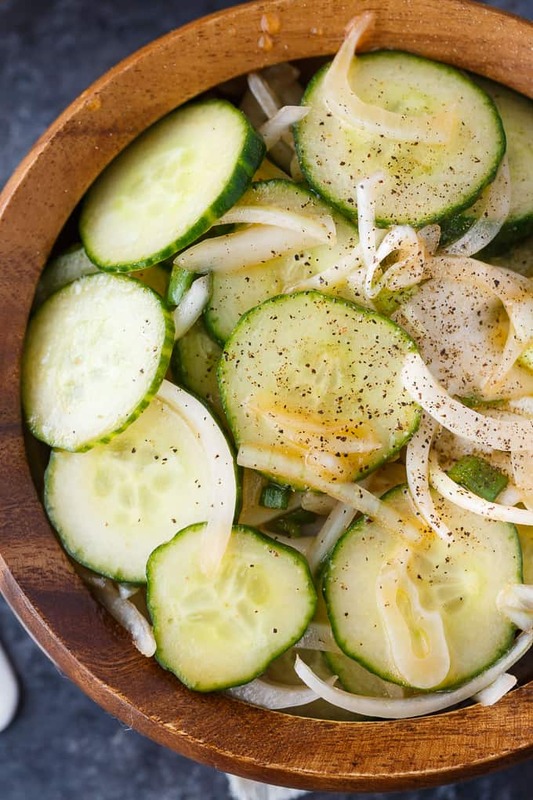 Cucumber Salad is a staple at summer BBQs and picnics. I make it often during the summer months because it’s so simple and goes with just about every type of meal you can think of. 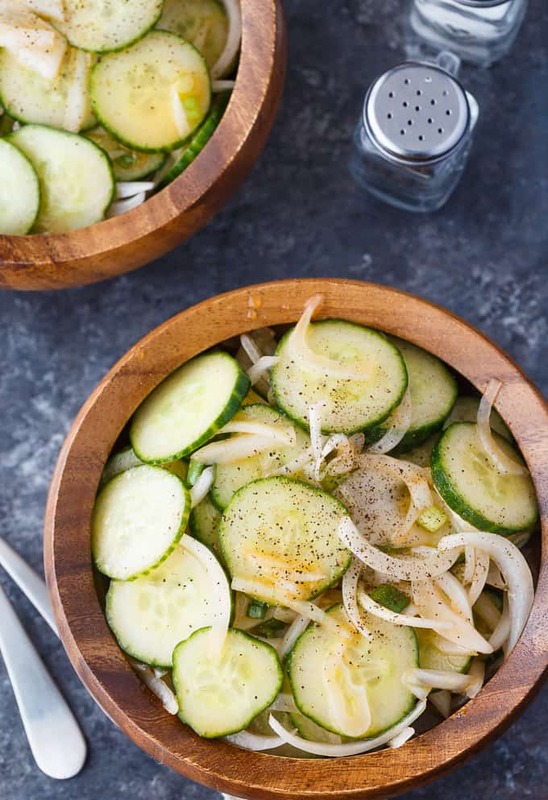 Cucumbers are plentiful at the Farmer’s Market so I always make sure we have a good supply for this Cucumber Salad recipe and to just snack on. Love sliced cucumbers with a dash of salt. Yum! The beauty of a cucumber salad is how quickly it can be whipped up. Having company over? No problem. You can easily make this delicious summer side dish in a matter of minutes. I’ve seen many varieties of cucumber salad online. There are salads that are creamy, vinegary and packed full of other fresh veggies like tomatoes. 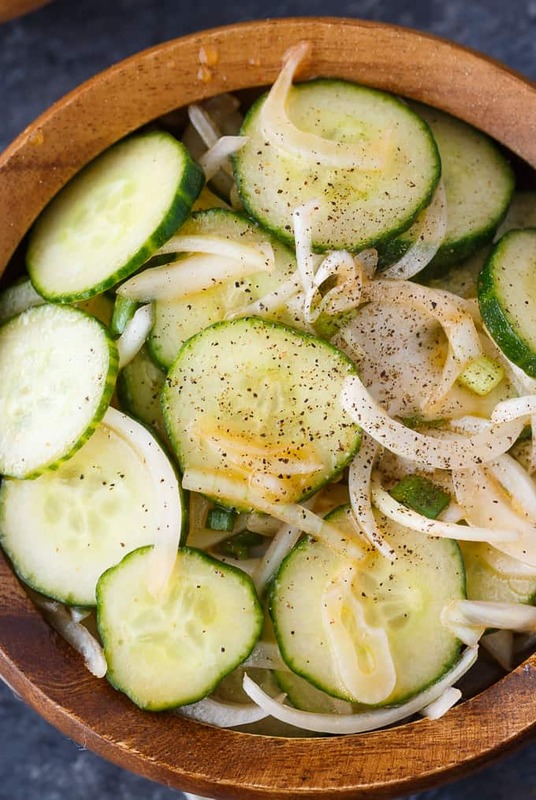 My easy Cucumber Salad recipe has three veggies: cucumbers, green onions and regular onions. It’s more on the vinegary side. I’ll do a creamy cucumber salad down the road, promise! 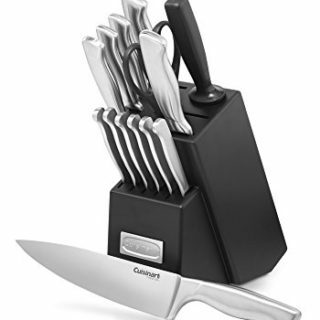 The first step is to slice all your veggies. Cut the cucumbers into thin slices, but not paper thin. You want them to have some crunch. I like sweet onions and I simply sliced them up. Green onions are also sliced. The dressing ingredients are whisked together in a bowl and then poured on top of the veggies. You can let it sit in the fridge before serving to marinate, but if you’re in rush, it’s ok to skip that step. The dressing has both vinegar and Catalina salad dressing with its sweet, tomato-y flavour. It adds just a hint of colour to the salad. 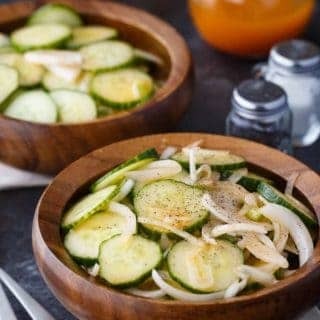 What type of cucumber to use in Cucumber Salad? My suggestion is to use whatever you have. In this recipe, I used English cucumbers only because I wrote this post early into the season and garden cucumbers were not available yet. English cucumbers are available year-round in my area. I also didn’t peel my cucumbers because I wanted to save myself an extra step and I like the extra pop of colour the skin adds. If you aren’t a fan of the peel, by all means, peel away! This recipe is so versatile. I prefer to slice mine on the thin side, but not paper thin. I want there to be some bite to it. You could change it up and cut the cucumber into cubes if you like. I honestly don’t think it matters much – it’s personal preference. 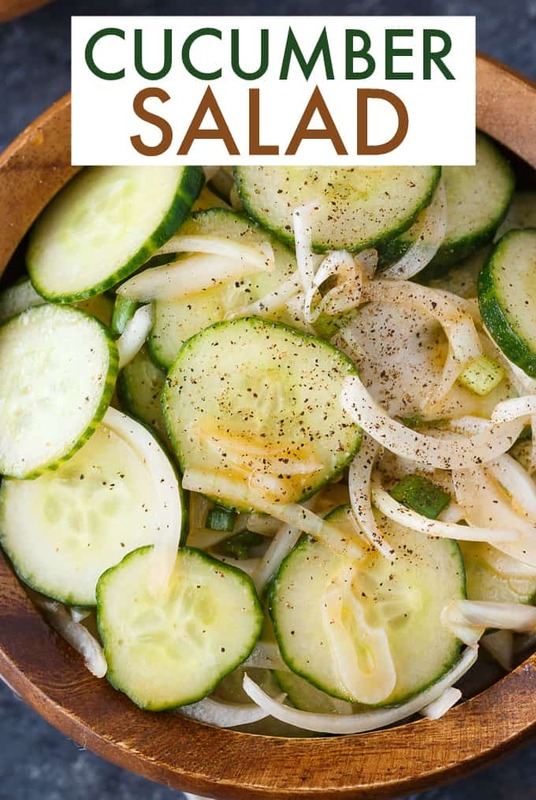 Cucumber Salad pairs lovely with just about anything. I love a juicy summer steak with a side of salad. You could also serve it with grilled chicken, pork chops or even hamburgers. This recipe makes enough salad for four healthy sized servings. If you are serving a bigger group of people, double or triple the recipe. Planning a picnic? 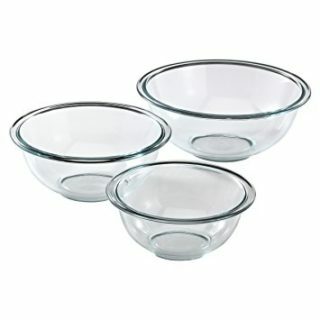 Make sure to pack your salad in airtight containers with ice packs to keep it nice and chilled. It tastes better cold, in my opinion. Each bite of this crisp and flavourful salad tastes like you are taking a bite out of summer. I don’t have a garden, but if I did, I’d want to grow all the cucumbers. The more, the merrier. Too bad I have a black thumb and have to rely on farmer’s markets to get my fill. I’m jealous of all you gardeners out there with their bountiful supply of fresh, garden cucumbers. For more summer salads, check out my Dutch Potato Salad, Macaroni Salad, Italian Pasta Salad, Mustard Chicken Salad and Best Broccoli Salad. You might also enjoy picnic food. 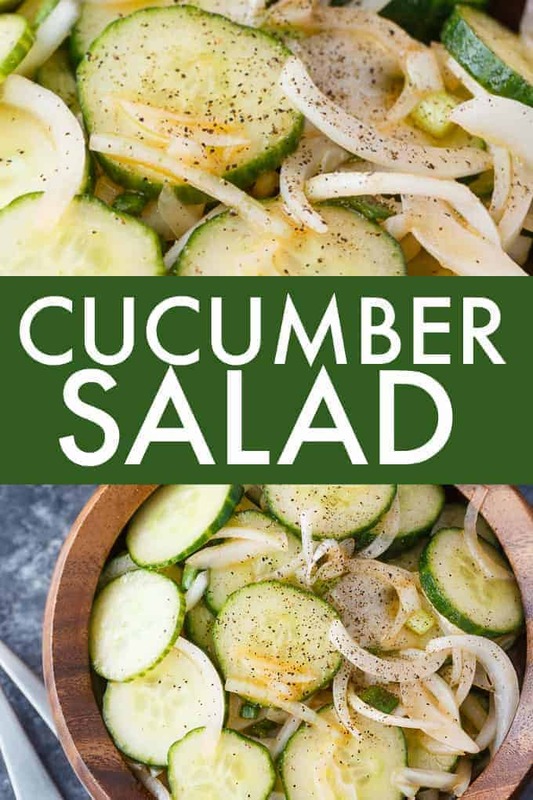 Do you make cucumber salad in the summer months? Fresh, easy and so delicious! 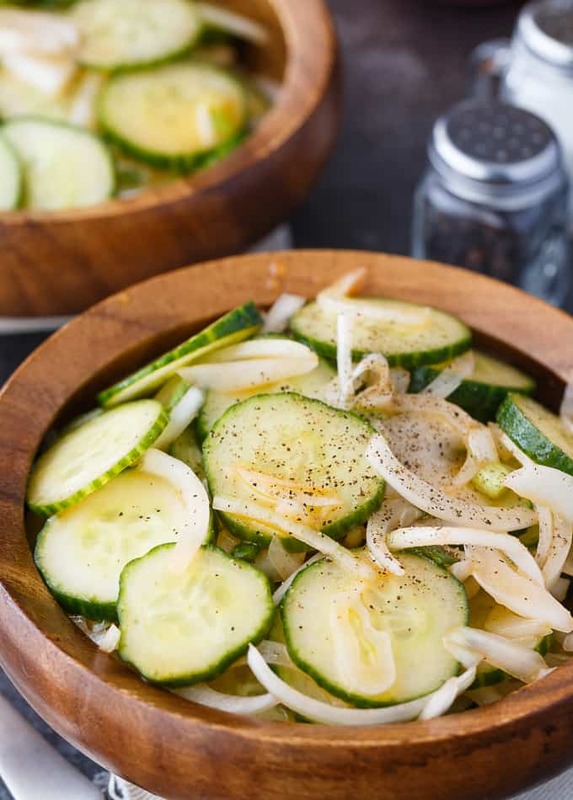 Each bite of this summer side dish is bursting with flavor of cucumbers, onions and a yummy vinegar dressing. In a large bowl, add cucumbers, green onion and onion. Stir. 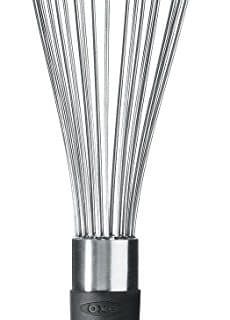 In a small bowl, whisk together extra virgin olive oil, sugar, Catalina dressing, white vinegar, water, salt and pepper. Pour over veggies and stir to combine. I am huge fan of cucumber,anyway it comes I am game. and this salad is everything ,it looks and sounds beautiful plus easy to make. I am always looking out for healthy ways to eat and healthy diets to embark on, to keep my weight in check , I am definitely adding this meal to my list .so yummy!! I love cucumbers and always gladly accept garden handout when people have more cucs app hank they know what to do with. Pinning for cucumber season! I do love cucumbers and this salad is so simple. I try to keep cucumbers on hand all summer. That is one of the few items that I grow, but even before my cucumbers come on I have them on hand. Thank you for sharing at Dare to Share link party. 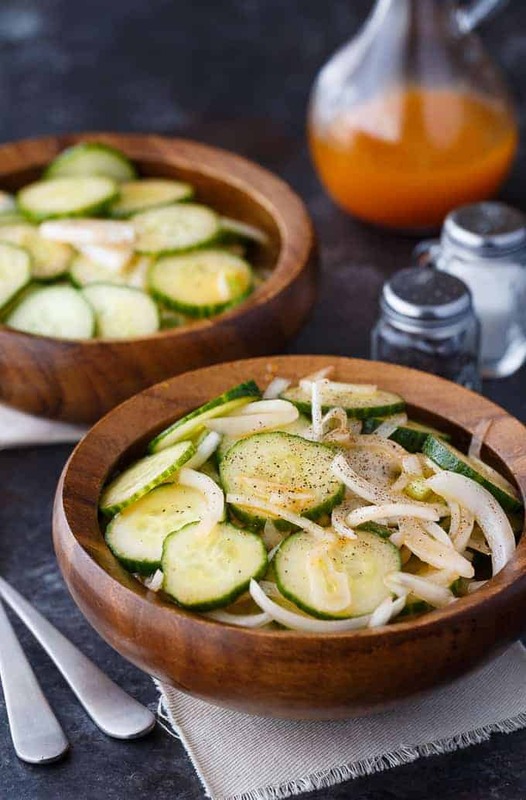 I love Cucumber Salad, a perfect dish for summer meals! Hope you are having a great weekend and thanks so much for sharing with us at Full Plate Thursday!